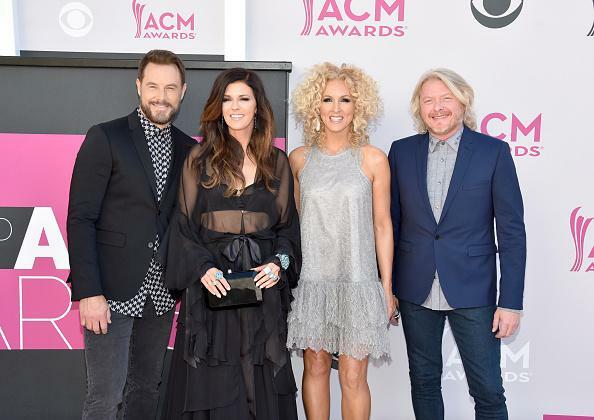 Karen Fairchild of Little Big Town went for a monochromatic look in all black with a Tyler Ellis Lily Clutch in Black Plexi (price available upon request, www.tylerellis.com). Maddie Marlow of Maddie and Tae went for a hot pink look accenting her pink gown with a Tyler Ellis Lee Clutch in Pink ($1,495, www.tylerellis.com). Looks like hot pink is a serious fashion trend this season. Maddie wears the color very well. Lindsey Ell carried a Tyler Ellis Lee Clutch with Swarovski Crystal (price available upon request, www.tylerellis.com). See more trendy celebrities at the ACM Awards.